This decorative grass is intended for indoor spaces, floral decorations in the hallway, indoor patios that don’t let in sunlight, decorations at the entrance or inside of buildings, etc. In addition, when it comes to caring for this preserved grass and maintaining it, it should be pointed out that because it’s a preserved product, it’s very easy to take care of and is essentially worry-free. 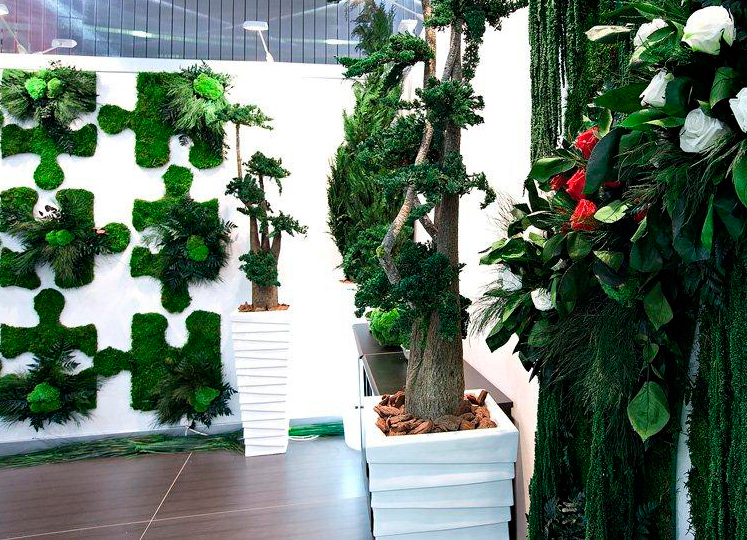 Right now making green indoor spaces is very much in style. This type of interior décor can be applied not only to homes, but also to your place of business since it brings your working environment closer to nature and also creates a sense of serenity and relaxation. Have You Ever Thought About How You Can Use Preserved Grass? What Are the Advantages of Preserved Grass? With indoor grass you can create a garden in an indoor space to give a closed area a more natural, fresh feeling. With this type of décor, you’ll give said space a much fresher, more chic style regardless of whether we’re talking about your home or your workplace. This indoor grass is perfect for most large rooms in a home or office, especially for living rooms and offices with large desks. 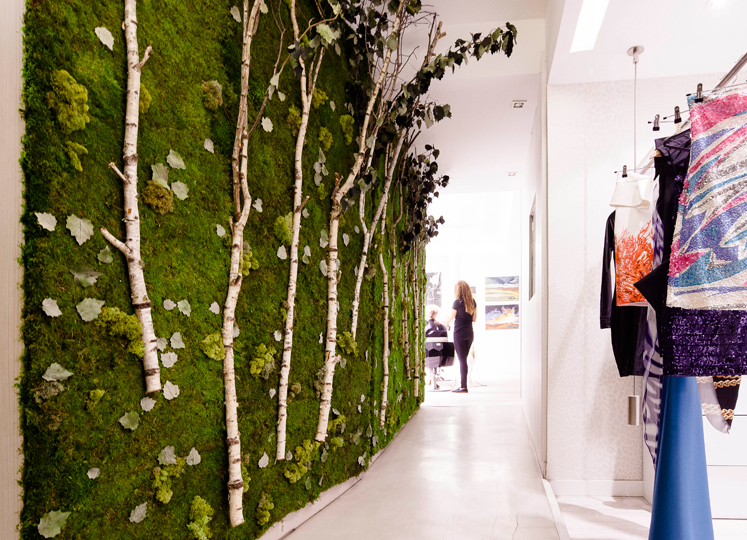 Vertical gardens inside a home are a great upgrade for any wall and also do a lot to purify the environment. This type of garden can fit inside a framework, though the most common practice is to create the design on the wall itself. The most popular choices for where to place it are in the kitchen, the living room, the dining room, and the study. 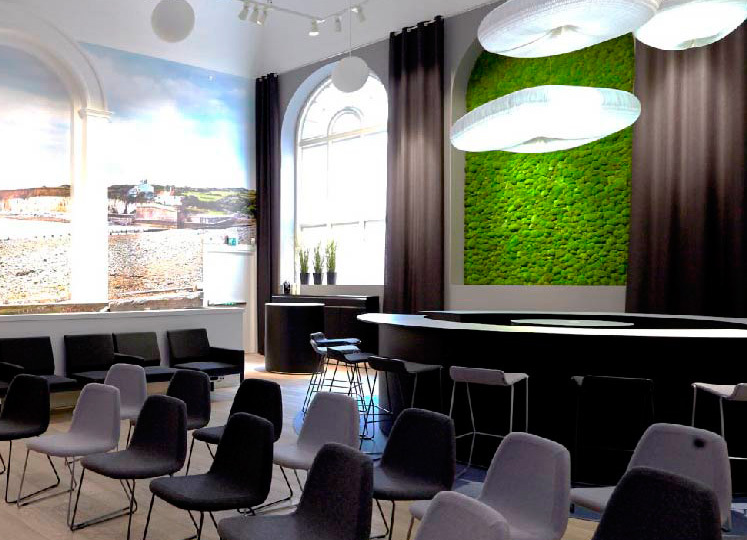 Nowadays more and more offices and businesses are joining the growing trend of decorating their spaces with preserved grass, preserved moss, or other very similar products. Two examples of locales that have incorporated vertical gardens with preserved products into their décor include Sushita Café and Telenor. Wall decorating is one of the most popular creative expressions in the interior décor of buildings. To make one, you need to take the time to make sure that you use the right products. 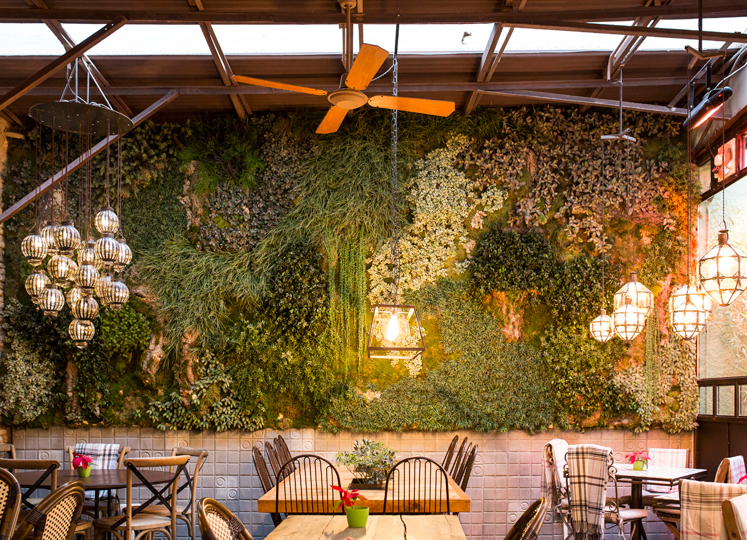 These days it’s not unusual to see green walls that combine products such as preserved grass with other products, which might include preserved flowers or branches, so as to break up the verticality of a wall. Putting one together is a fun challenge for any aspiring interior designer! You can use preserved natural grass to repurpose otherwise mundane objects, giving them a much more natural, ecologically-friendly appearance. For example, an upholstered waste basket would make a wonderful receptacle for preserved grass. We’re going to finish off today’s article by telling you about the advantages of using preserved grass for interior décor in your home, business, or office. At Verdissimo you’ll find an immense variety of flowers and plants that are perfect for combining with preserved grass. If you’re interested in learning more about using this product for décor, we recommend reading the article “Preserved Grass, a Unique Indoor Decoration”.